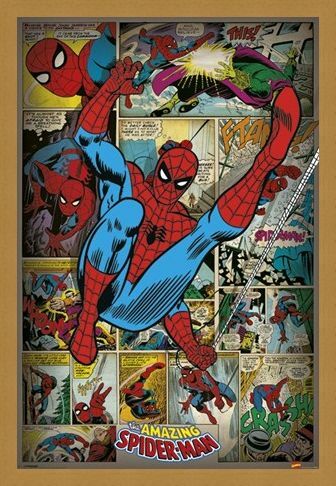 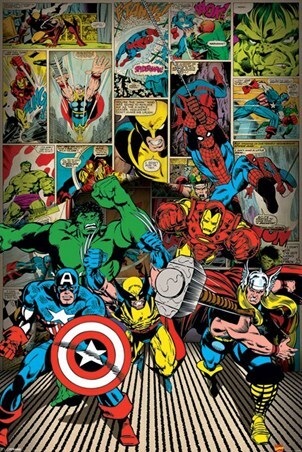 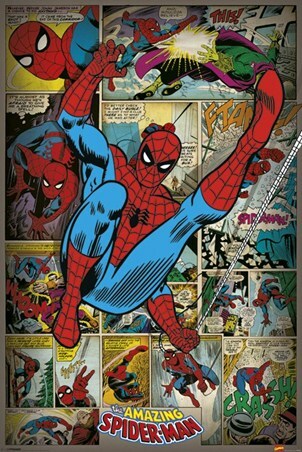 Children's Maxi Poster: If you love Spiderman then you will soon be swinging into action with this spectacular maxi poster which features a collage of classic Spiderman images from the Marvel Comic book series. 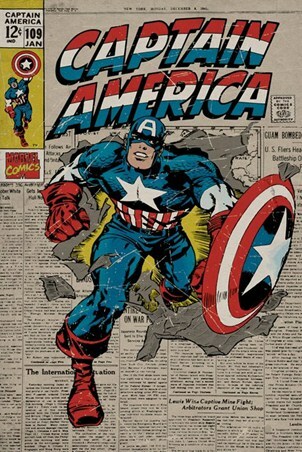 'The Amazing Spiderman' is one of the most popular comic books of all time and now you can relive some of the superheroes most iconic moments with this brilliant poster. 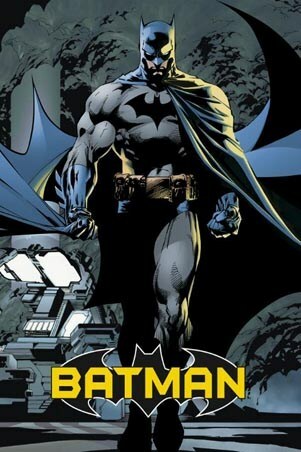 Watch as he climbs up building and swings over rooftops to defeat his enemies before they seek their revenge. 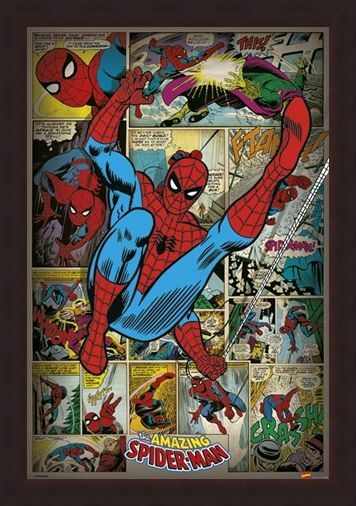 Whether you are young or old, this classic Spiderman collection is sure to get your spider senses tingling with its sheer comic brilliance. 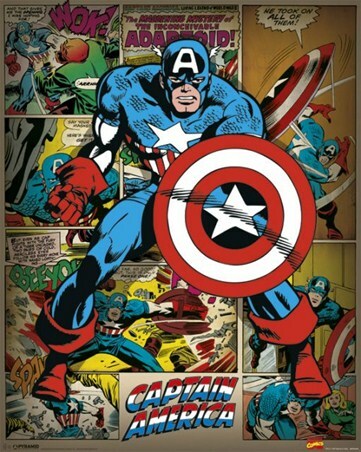 High quality, framed Retro Spiderman Compilation, Marvel Comics poster with a bespoke frame by our custom framing service.